PT12 Series | Film Capacitor - Electronic Concepts Inc. Polypropylene Plastic Film Wrap, Epoxy End Fill Type. Among these is the type PT12 polypropylene precision capacitors, which exhibit unique and outstanding electrical and environmental characteristics. As pioneers in the use of Polypropylene as a capacitor dielectric, Electronic Concepts, Inc. has designed a full line of polypropylene and metallized polypropylene precision capacitors. Among these in type PT12 polypropylene precision capacitors which exhibit unique and outstanding electrical and environmental characteristics. The following are some of the most significant. 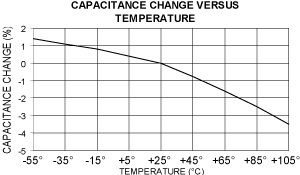 Negligible shift in capacitance under long term exposure to humidity, operating life and temperature cycling. 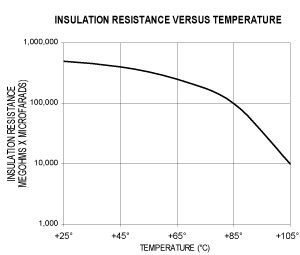 Insulation resistance, dielectric absorption and dissipation factor properties are all equivalent, or superior, to those of polystyrene. 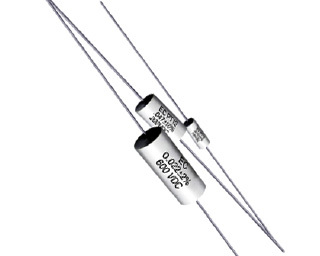 These polypropylene capacitors are designed for use from -55°C to +105°C without derating. 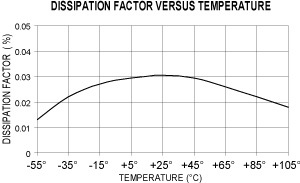 Therefore, type PT12 can be used in high temperature applications when it is not feasible to use polystyrene capacitors(which have an upper limit of 85°C). Polypropylene capacitors are excellent for all critical applications which require high insulation resistance, high Q, extreme stability, close tolerance, low dielectric absorption and dissipation factor. The temperature coefficient makes an excellent choice for high Q tuned circuits, precision filter circuits, pulse networks and RC circuits. Standard tolerance is ±10% tolerances of ±20%,±5%,±2%, and ±1% are available. Plastic film case with epoxy end seal. Note: The 5th character of the part number represents the DC Voltage Rating: D=100, E=150, etc. 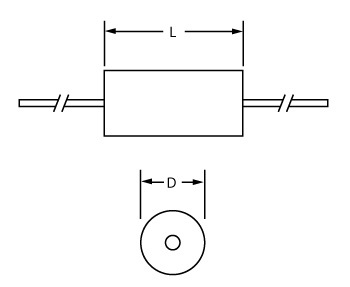 Additionally, the 9th character of the part number represents capacitance tolerance: M=±20%, K=±10%, J=±5%, G=±2%, & F=±1%. Capacitors will withstand a DC potential of twice rated voltage for one minute through a limiting resistance of 100 ohms/volt without damage or breakdown.